We often see modular buildings with European architecture, but the world is a much bigger place and offers many other forms of beauty. 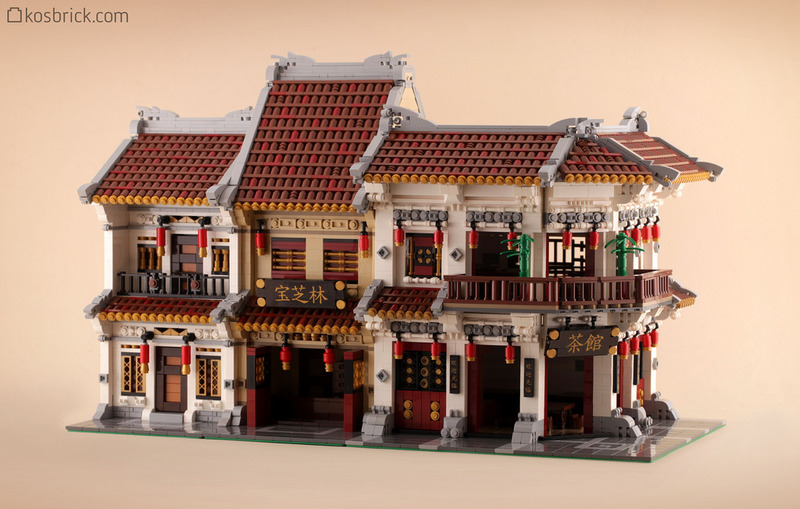 Kosmas Santosa from Jakarta decided to take matters into his own hands and built three modular buildings with Indonesian/Chinese architecture. The diorama is comprised of a tea house, a pharmacy and a residential building which are all inspired by actual locations. Despite the fact that these inspiring buildings look ruined, Kosmas took a nostalgic step and reanimated the street as a lively place. You can find more detailed pictures on Kosmas’s own website. He built this diorama as part of a Bhinneka LUG display and even made a few trucks and carts to live up the scene.